The Center for Seabees and Facilities Engineering Navy Detachment Fort Leonard Wood held a change-of-charge ceremony July 10 in Shields Hall, where Navy Lt. Brian Wood relinquished command to Navy Lt. Nicholas Gegg. Wood, who took command of the detachment in October 2015, said serving at Fort Leonard Wood has been the highlight of his career. "With absolute certainty, in over 24 years of service, this has been hands-down the best tour that I've had," Wood said. "The people, the community, the professionalism, the respect and the support has been tremendous." Navy Capt. Glenn Hubbard, Center for Seabees and Facilities Engineering and Civil Engineer Corps Officers School commanding officer, who presided over the ceremony, had nothing but praise for Wood's accomplishments. "Over the last three years, Lt. Wood's leadership of this detachment has played a valid role in the team effort of training over 9,000 interservice students," Hubbard said. "The command has been successful in carrying out its mission, taking care of its people, taking care of its crucial programs and maintaining the accreditations and certifications of instructors and the classes that they teach." Hubbard said he was grateful for Wood's contribution to the detachment. "Brian, thank you for your leadership and steady hand on the wheel in taking care of your team. To you and your team, well done," Hubbard said. Gegg joins Fort Leonard Wood from Under Water Construction Team ONE in Little Creek, Virginia, where he served as the operations officer. He said he is excited to come to Fort Leonard Wood. "The opportunity to get to work at Fort Leonard Wood and to serve is amazing," Gegg said. 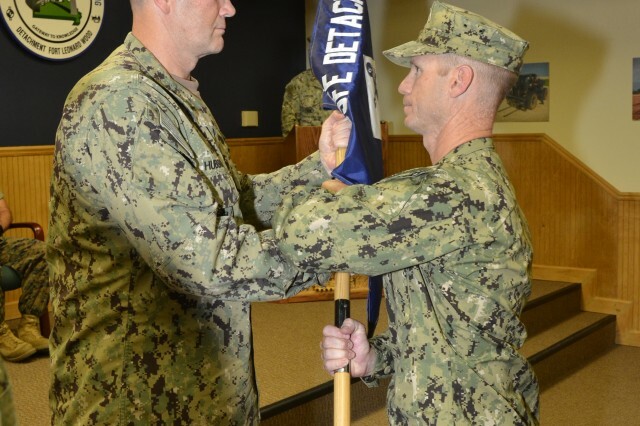 "Bringing new Seabees into the force is like no other job you will ever get in the military." Gegg said the return on investment is remarkable and that he was ready to continue the work of his predecessor. 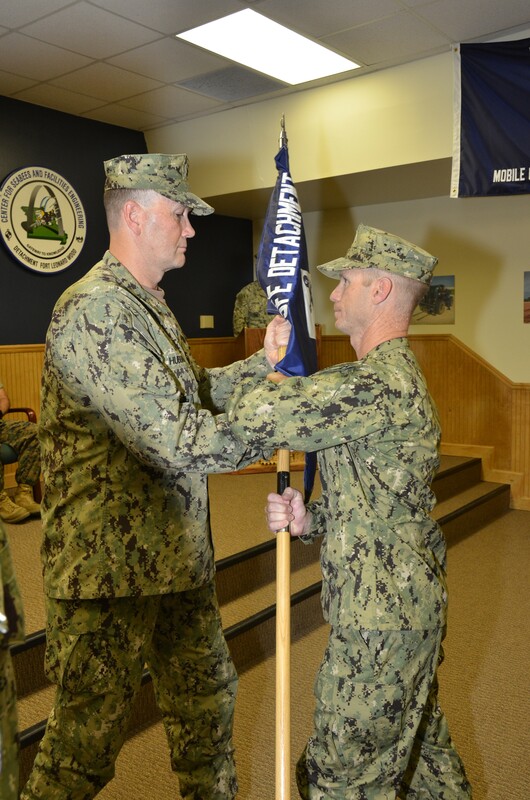 "I am ready to pick up where Lt. Wood left off and continue making some of the finest Seabees this country has ever seen," he said. Wood, whose next assignment will be with Naval Construction Group TWO in Gulfport, Mississippi, said his success at Fort Leonard Wood has been possible through the partnerships he has been able to form with the sister services. "Maj. Gen. Savre and the Maneuver Support Center of Excellence team have been an outstanding host," Wood said. "To me, this truly is a first-class organization." Wood said the post has treated him and the Seabees as equal partners. "Regardless of what service we are in, we are all part of America and we all are on the same team," he said. "We recognize that our tribal loyalties to each of our services must come after our commitment to the team. We recognize that it is better to do it together."